The Conservative Party is worried about the growing perception that it has given up on defeating Sadiq Khan in London. 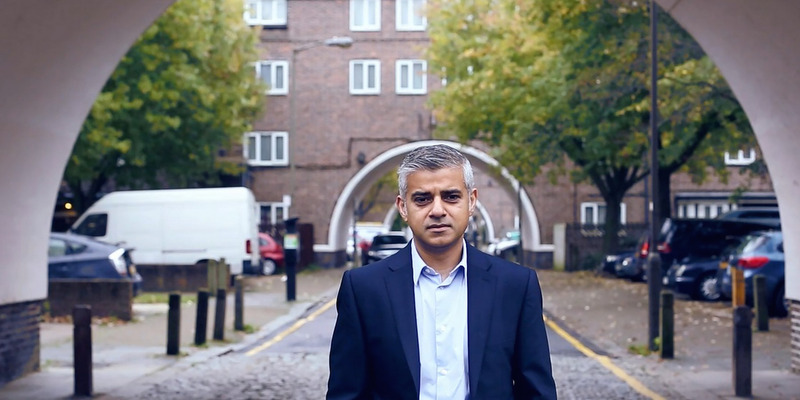 All three of the leading candidates for the Conservative nomination for mayor are expected to also stand on the London Assembly, which CCHQ believes will be portrayed as admitting defeat on their chances of beating Khan. Internal polling shows that whilst Khan is beatable, it would take a serious and dedicated candidate to dislodge him. One of the leading candidates tells Business Insider they plan to repair the damage caused by Zac Goldsmith’s failed campaign against Khan. 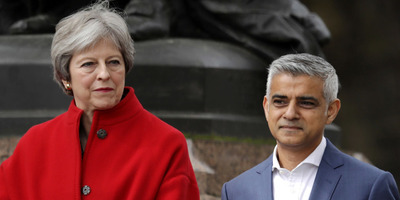 LONDON – The Conservative Party is increasingly worried about the perception that it has given up on winning back the London mayoralty from Labour’s Sadiq Khan, well-placed party insiders have told Business Insider. The national party was unable to persuade a big-name candidate to run for the nomination, leaving only two relatively unknown London Assembly members and a little-known business leader on the shortlist for the election in 2020. Now it has emerged that the two favourites to win the Conservative nomination, Shaun Bailey and Andrew Boff, are also both intending to stand to retain their seats on the London Assembly, with the third candidate left in the race, Joy Morrissey, also believed to be considering standing for the Assembly. This has led to fears in Conservative HQ that they will be portrayed as essentially admitting defeat in their hopes of defeating Khan. “We’ve never done this before,” one Conservative source told BI. Conservative figures at City Hall also admit to the concerns. “It will completely dog the campaign,” one insider told BI. While Boff is content to remain on the London Assembly, insiders say his rivals Shaun Bailey and Joy Morrissey see the candidacy as Mayor of London as a way of positioning themselves for future parliamentary selections. Bailey, a former advisor to David Cameron, previously contested the Conservative Party selection for Kensington in advance of the 2015 General Election. With a majority of 20, Kensington is expected to be a knife-edge marginal which could flip at the next election, regardless of national swing. Morrissey is also expected by party insiders to throw her hat into the ring for the Kensington, as she is currently a constituent. Boff, who has been a Conservative London Assembly member since 2008, denied that Conservative headquarters were pressuring him into giving up his Assembly seat. “There’s been absolutely no pressure. Not a sausage,” Boff told BI. However, if successful at winning the nomination, Boff intends to distance his candidacy from party headquarters following the Conservative’s highly-criticised campaign against Khan in 2016. After Boris Johnson stood down as London mayor, the then Conservative candidate to succeed him, Zac Goldsmith, was accused of running a “dog whistle” campaign against Khan, highlighting his alleged links to Muslim extremists while he was a human rights lawyer. 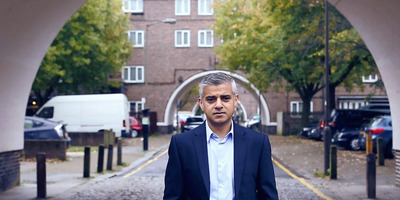 The party sought to exploit fears about Khan’s candidacy among ethnic minority voters, with leaflets sent to Hindu Londoners falsely claiming that Khan intended to take their jewellery if elected. Boff, who publicly criticised the campaign at the time, told BI his campaign would strike a very different tone. “Our last campaign, the candidate was a good one but the campaign didn’t look like the Conservative party in London and this time I won’t be making the same mistake,” he told BI. Conservative internal polling suggests that while Khan is well liked by voters, his support isn’t especially deep, meaning victory for the party in London is still possible. “When you talk to voters about the ambassadorial side of the role, he’s very popular”, one Conservative source said. “However, when you talk about the legislative side of it – Crime figures, Transport, Housing – his support becomes weak quickly”. In particular, the party believes Khan is vulnerable on crime after a spate of violent assaults and murders in the capital. Boff, who regularly clashes with the mayor on the London Assembly, believes Khan is beatable. Khan’s allies also expect the race to be challenging. “Labour did far less well than expected in the local elections,” one told BI last month.